The mission was clear: go to school -> get good grades -> get into college -> get a job in a reputable firm -> work your way up in the firm -> retire with a golden watch and a healthy retirement. Those days are gone. So many “big firms” are retrenching, downsizing, relocating offices and the staff is left with a cardboard box of their belongings. This is why governments around the world are encouraging people to start their own business. Starting a business has its upside: You get to control your own destiny. You need more income, so you hustle and get more clients. However, running a small business comes with its own set of troubles too. The reason most small businesses fail is that business owners don’t realize that he/she have to wear many hats and perform many roles. They must be the salesperson, the accounting department, the marketing specialist, and the technology team. These roles need to be balanced in order for the business to stand a chance. Technology underpins every business today – especially technology that can scale as the business grows. As an IT consultant with over 18 years of experience across three continents, I have built several businesses and consulted to countless more. During this time, there is one tech element that makes or breaks a business – the difference between a technology service provider and a technology partner. No business today can exist without any technology. Email, a website, social media are the very fundamentals of growing a business in today’s connected world. When it comes to selecting a technology partner, this is a critical step in business building. Notice, I said partner and not service provider. The reason I make the distinction is that I see a difference between these. A service provider is a company which provides you with a service such as email, hosting of your website or your storage. If you don’t like their service, you simply switch over to another provider. A service provider is a commodity. However, a technology partner is a company that becomes part of your business. A technology partner is a company that not only provides you with the tech you need to run your business, but is there for you when you need to scale up, add additional services, change to a different package, and most importantly has the technical support staff skills to deal with any issues that occur. Therefore, when my clients ask me how to pick the right technology partner, I always advise them to select a company who is able to offer a wide range of services under one roof and one that stand by their offering with a serious guarantee. When I was introduced to Liquid Web, I classified them at a superb technology partner as they fit squarely into that category of offering the breadth of services that any company could make use of. What I like about Liquid Web is that you can pick and choose from a menu of tech solution that best fits your needs. If you are do-it-yourself kind of company, then simply use Liquid Web server hosting facility but if you don’t want to deal with hosting issues, then simply opt for their fully managed dedicated secure servers. When it comes to cloud hosting for critical elements such as offsite storage and replication of data, then you can move your systems into Liquid Web’s cloud but still retain all the security to keep your system safe. Liquid Web also offers VPS hosting for your private servers. They will even look after and manage your WordPress hosting so you can get your website up and running quickly. One of the biggest frustrations that I am called to solve in companies who need help with their technology, is getting to the root of a problem. It still amazes me today how often companies simply pass the issue onto other companies saying “it’s not us it’s them” or “it’s working fine here so it must be a problem on your side”. 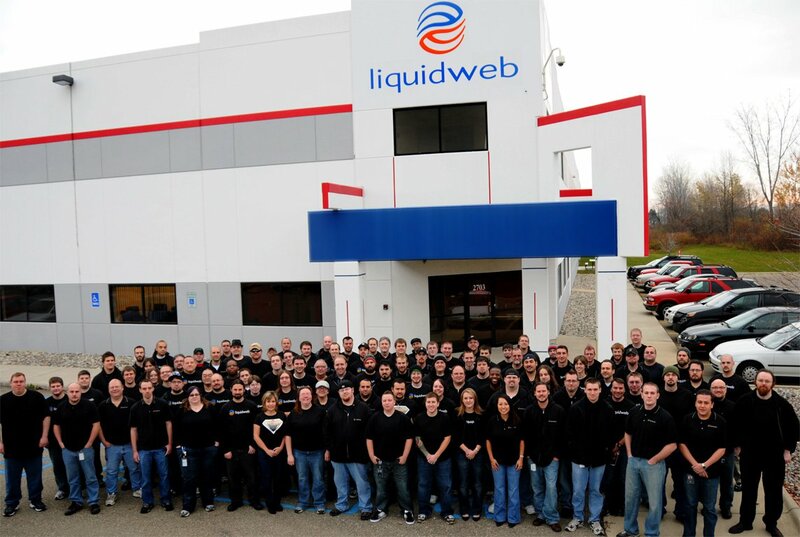 What I do like about a tech partner like Liquid Web is that they own everything – their own data centers, their own support people, their own infrastructure so there is no finger pointing and they just deal with any issues 24/7/365. And then there is the “put your money where your mouth is” guarantee. Liquid Web backs their 100% Network and Power promise with a 10x credit of the mount of time you were down. Now that should tell you something about the company. Having just returned from South By Southwest in Austin Texas, I once again saw that regardless of industry or service, companies are really relying on their tech partner to help them not only launch their business but also scale as customers use their services. With competition being just one click away, it is critical that services, apps, websites and information is made available immediately…or the competition will! This post is part of a campaign but is written by me and these opinions are from my own experiences. I am glad to be able to share this and hope it helps when selecting your next tech partner.